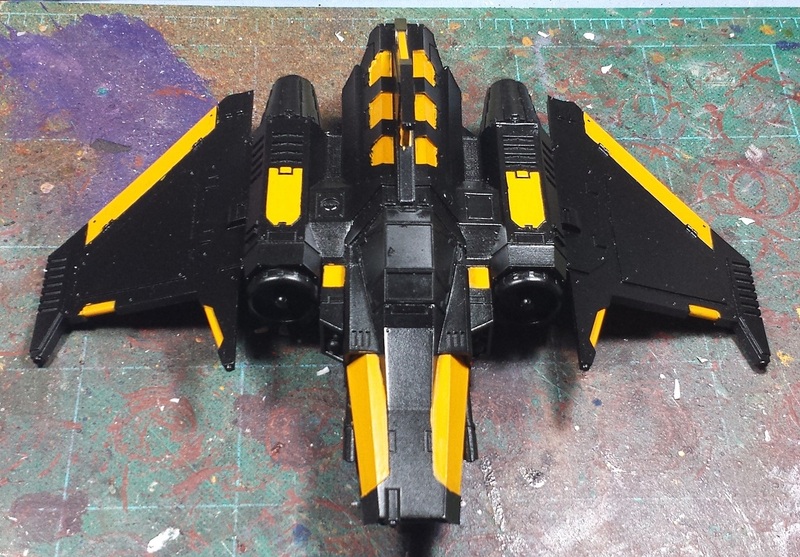 Not much hobby time this past weekend what with father's day and helping a friend move, but I did manage to assemble and primer the Xiphon Interceptor and started blocking in the yellow areas to get a feel for how it'll look. 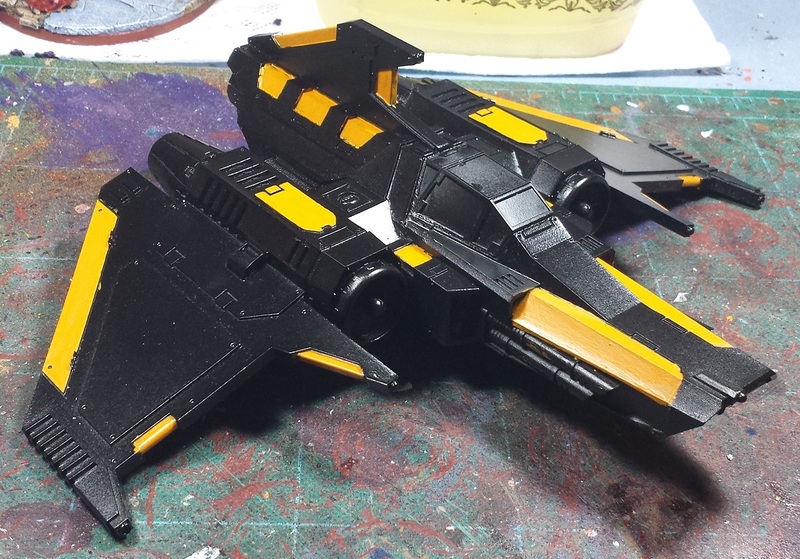 Continuing on with the predominantly black scheme on the vehicles, with yellow accent panels. So far I've just laid in the Scrofulous Brown undercoat to try and figure out the proper balance between the yellow and the black. I'm thinking the large semi-trangular panels on the wings will get the yellow treatment as well, should help brighten it up a touch overall. So far I've been well pleased with the model, went together like a dream, and I'm looking forward to getting some more brush time in on it! I loved this kit too, but I think yours needs a little brightening up, those larger panels would help a great deal. Are you going to paint the underside a different colour or not (I didn't). Can't wait to see the finished article, as ever you are a painting machine! Looks good. Although I've never been that enamoured with the kit...looked a bit to 40K to me! Not a fan of the model but I am looking forward to seeing what you can do with it. @Siph_Horridus: Aye, it's a bit dark at the moment. I think I'm going full livery with this one, I envision the Army/Navy flyers as being more considerate of camouflage but the marines proudly bearing their colors. Looks like a bloody big evil wasp. Already liking the color blocking on this!